Park Myung-bae’s traditional furniture exhibition. November. 01, 2018 08:05. by Won-Mo Yu onemore@donga.com. Cabinet maker Park Myung-bae (age 68), national intangible cultural heritage No. 55, who have devoted his life in making traditional furniture for 50 years, will hold his fourth individual exhibition at the Hangaram Art Museum (exhibition hall No. 7) at the Seoul Art Center in Seocho-gu, Seoul from Saturday. 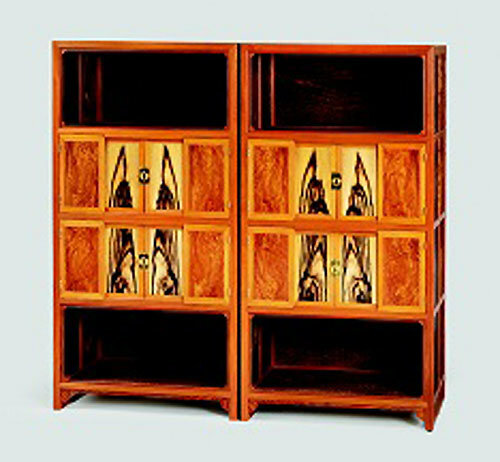 This exhibition will display some 40 furniture works including wooden furniture that re-interpreted bookcases, cabinets, stationery chests, medicine chests, bedside drawers as well as meeting table that can be used in offices and three-story cabinet designed as a bedroom storage in a modern way. “I hope that people will be able to enjoy the simple pleasure of traditional wooden furniture in modern life spaces,” said Park. “I also hope that we are able to enjoy and share the traditional meaning of beauty.” The exhibition will be opened until November 12 and is free of charge.